There are so many fun things to do in Myrtle Beach, and except for swimming in the ocean and sunbathing on the beach, it all costs money. By planning your vacation in advance, you can save both time and money. If you prefer flying to the beach over driving here, the earlier you book your flight and pay for your reservations, the less your airline tickets will likely cost. You can check current discounts on flights to Myrtle Beach at MyrtleBeachAirlines.com. If you're looking to do stay at one of the oceanfront campgrounds in Myrtle Beach, you're likely to save quite a bit of money than if you'd chosen an oceanfront luxury condo. And for saving LOTS of money once you get here, there are a TON of Myrtle Beach coupons that are useful for saving money at various restaurants, attractions and amusement parks, concerts and live shows, golf courses, shopping, and more. 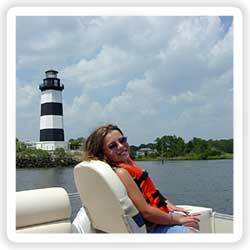 Since 1999 our goal has been to provide helpful information online to locals and to the millions of people who choose this area for their vacation each year.